Welcome to the September digital release blog hop!!!! The hop will run for 1 week and end on Monday 8th September at 12 Noon EST, when the lucky winners will be announced right here. Here is my creation for the September digi hop. I can not believe that it is September 1 already where has the month of August gone, autumn is just around the corner... wow. 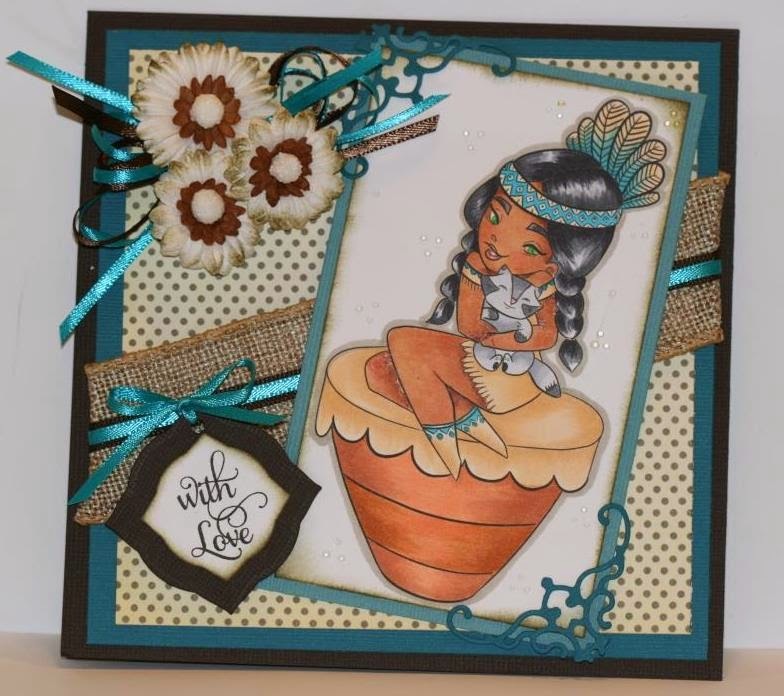 I used a great new image from Lia Stampz called Indian Girl. What a wonderful card. I love those colors. Very sweet card Charlene!! Beautiful coloring of Indian Girl!! Beautiful card!! Love the colors & papers you used! Love the diagonal stripe with the blue - that is picked up behind the flowers and in the Indian Maiden's outfit. She is colored so nicely. Fantastic card. Beautiful colouring of Lia's sweet image. This cutie definitely seems to be a favourite on the hop.